Fresno's Poet Laureate, Lee Herrick. Photo by Anh Dao Kolbe. 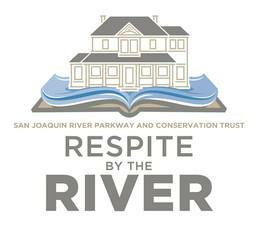 The San Joaquin River Parkway and Conservation Trust will be hosting their final Respite by the River: Reading by Lee Herrick with Music by Terry Barrett September 14th, 2016 at 6pm. There will be poetry readings from Fresno's Poet Laureate, Lee Herrick, and some music by Terry Barrett. The Rivery Parkway Trust has been hosting these events all year, bringing in various artists, authors, musicians, and more. This particular series is special for a variety of reasons, one of them being that it will be featuring Fresno's very own Poet Laureate. Lee has been Fresno's Poet Laureate since 2015, and will be through 2017. It is a privilege that we were able to get in touch with Lee and hear not only about his history, but a little bit about what's next, too. 1. Tell me a little bit about yourself. Have you always been interested in writing, specifically writing poetry? LH: I was born in Daejeon, South Korea, in late 1970 and adopted by an American family. I arrived at San Francisco Airport on October 12, 1971 and was raised in the East Bay. I went to high school in Modesto, where my parents still live, and was in love with soccer and music. I played soccer for my university, where I was an English major and began to think about a career in teaching. From a young age, I loved writing and reading. I have taught in the English department at Fresno City College for twenty years. I love it and feel very grateful to be there. 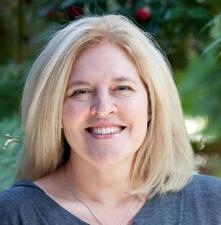 I also teach poetry in the low-residency MFA program at Sierra Nevada College by Lake Tahoe. I am a husband and a father, which are my greatest joys. I fell in love with poetry in high school, although I didn't know it at the time. My senior year English teacher read us Shakespeare and I was transfixed. At Modesto Junior College and later California State University, Stanislaus, I had amazing professors, and I met some young writers who loved language and cared about the world like I did. I've been very fortunate to write poems and have a life in poetry. 2. What has it been like being Fresno's Poet Laureate? LH: It has been a joy and an honor to be Fresno's Poet Laureate. Fresno is a beautifully diverse city full of challenges and opportunities. I gave a reading at a nearby state prison, and I worked with high school students in Madera County for Poetry Out Loud. I've met so many people from all backgrounds, and I've loved sharing my thoughts on what poetry can do for us. It's also been a good opportunity to shed light on the many incredible poets from Fresno, past and present. The talent in this city is staggering and inspiring. Anywhere I go in the country, I'm asked what it's like to be a poet in Fresno. I tell them I wouldn't want to be a poet anywhere else. 3. What is your main inspiration when writing? LH: This is a tough question because it often changes. Deep down, it's family, history, the unspoken and the unknown that I am trying to create, speak to, or come to know in a poem. Korean adoptees and adoptees from all backgrounds inspire me. People who have suffered through trauma and survived inspire me. Great poems always inspire me. My daughter inspires me like you wouldn't believe. 4. What are you most looking forward to sharing and experiencing at the Respite By the River event? LH: I'm looking forward to the natural beauty of the place. It's one of my favorite settings in the country for a reading. I plan to read from my new book manuscript that I recently completed and is now in some publishers' hands. It's called What I Hear and Mistake for My Heart, which includes poem about a hearing condition I learned last year that I have, and it also includes poems about some the shootings over the last few years and how we cope with them. I'm looking forward to seeing friends and meeting new ones. 5. Is there anything else we should know about you? 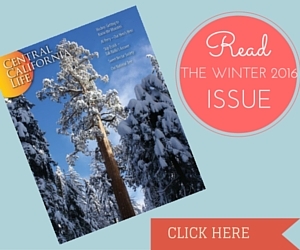 Any upcoming publications? LH: I hope my third book will come out in the next year or two, but it's finished and is now just being considered by some publishers. I would love to read or speak with any groups in the area. I have some upcoming readings, including November 3 at Clovis Community College, December 21 at Fig Garden Regional Library, January 2017 in Jamaica, and April 2017 in New Orleans, among others. I can be reached at leeherrick.com.